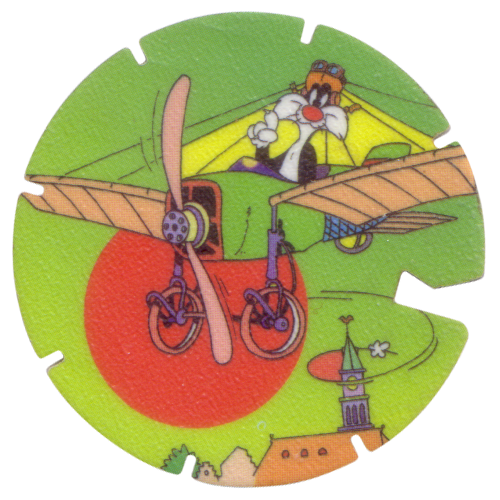 Info:This is the full set of Flying Flippo caps. 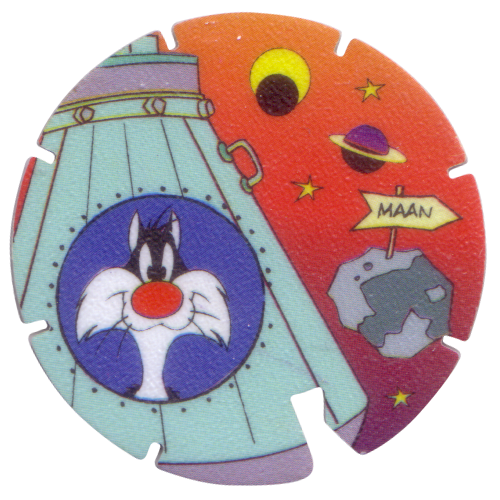 They were given away with packs of crisps sold by Smiths in the Netherlands. 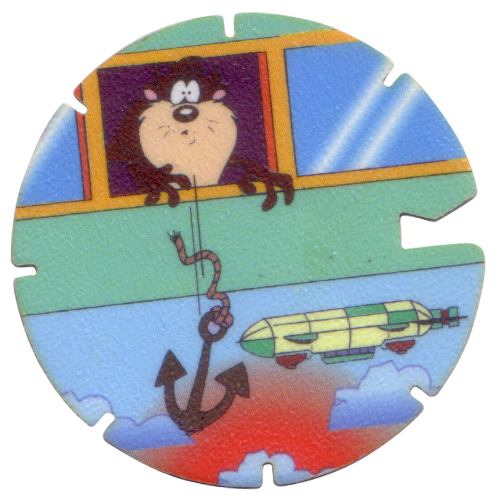 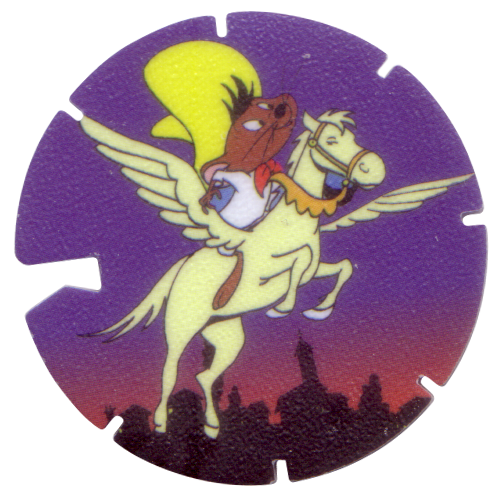 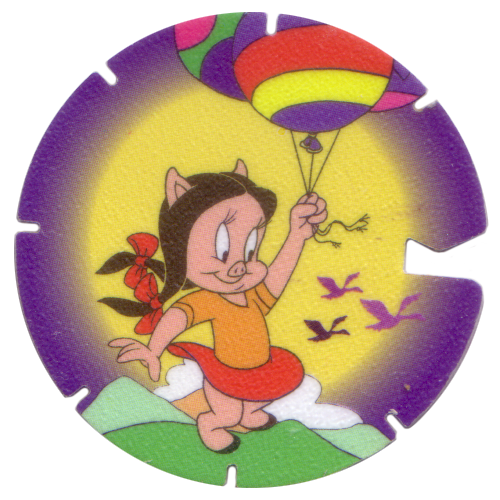 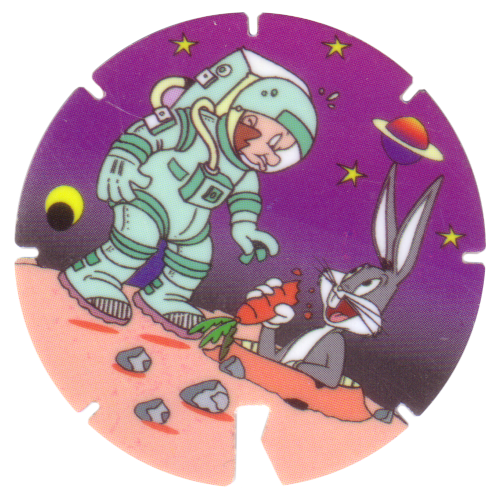 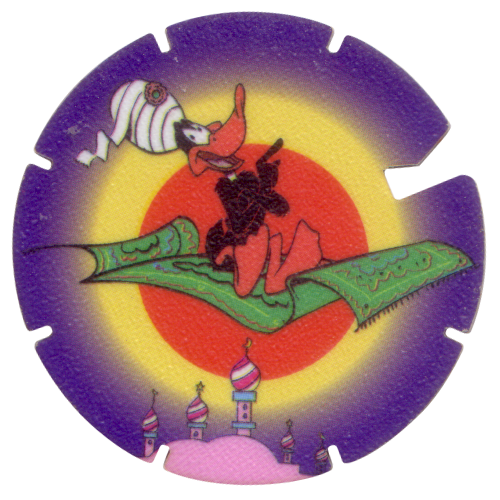 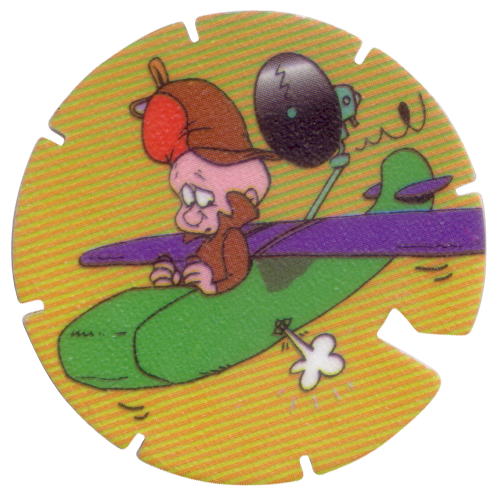 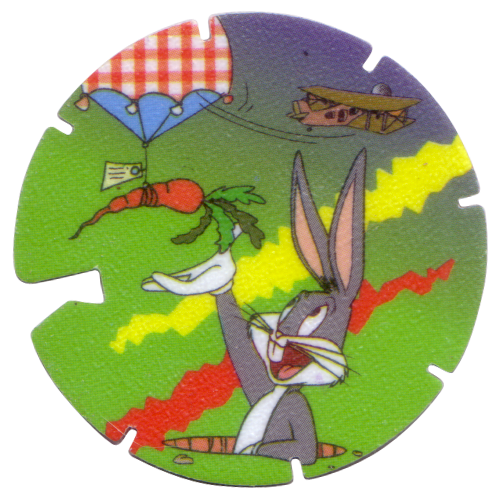 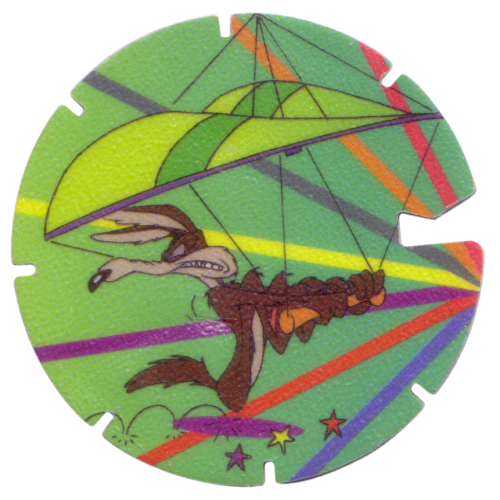 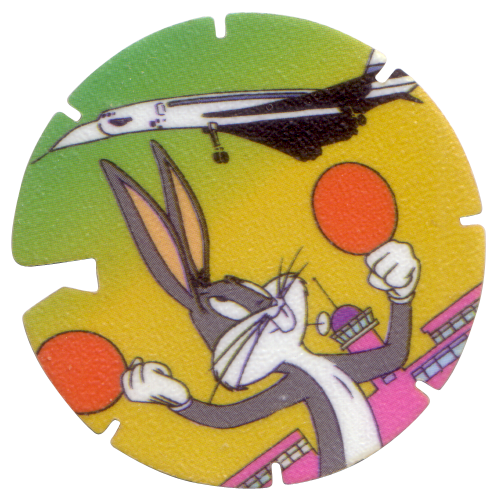 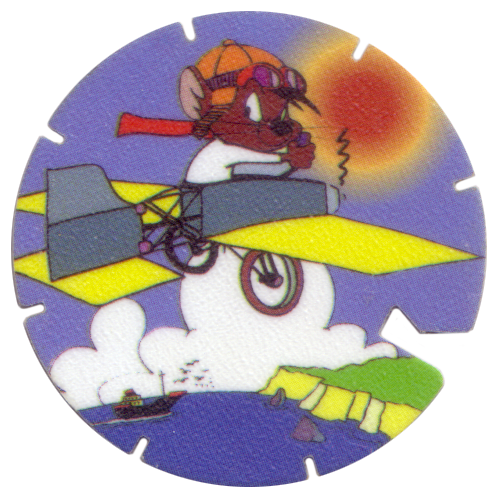 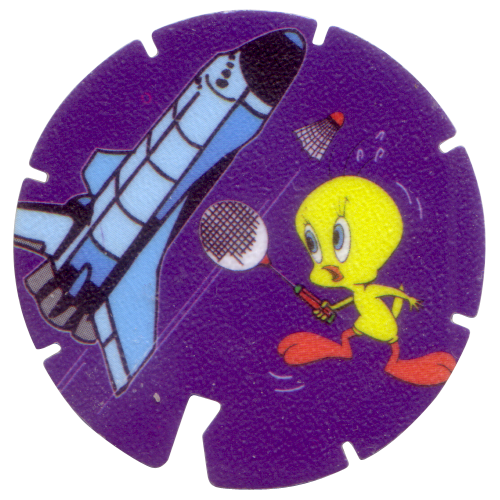 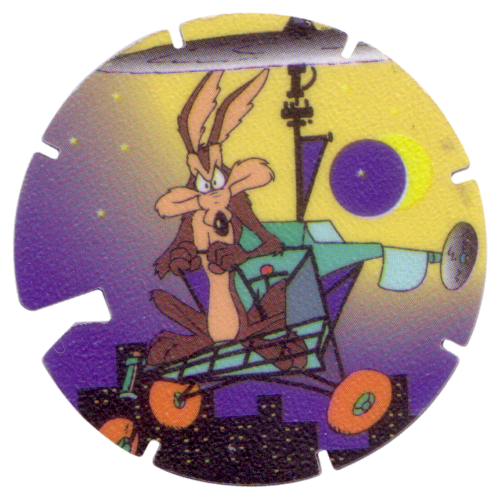 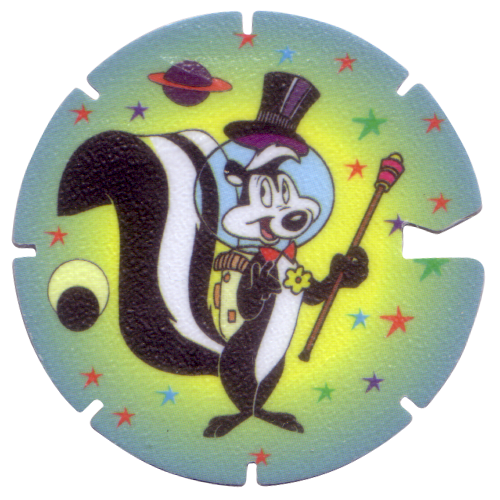 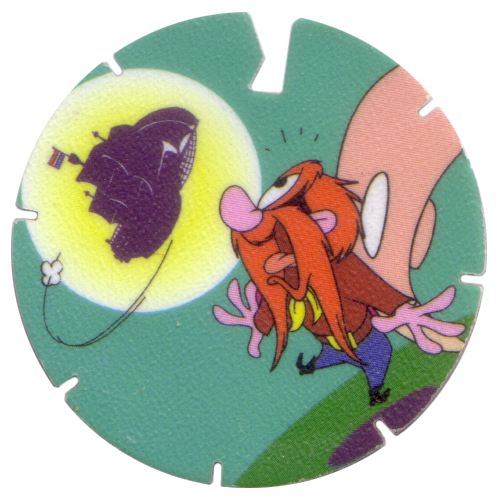 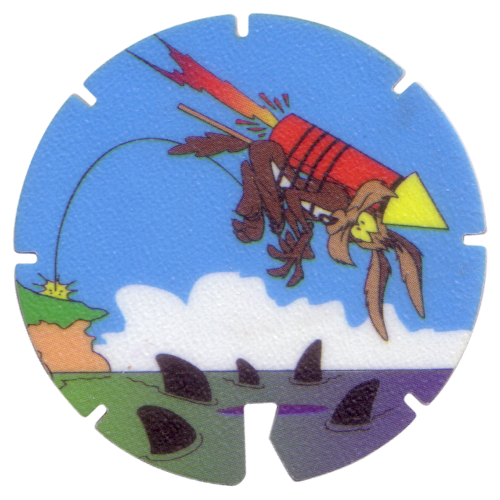 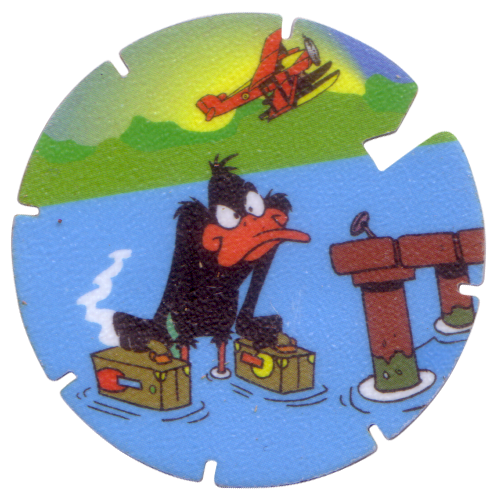 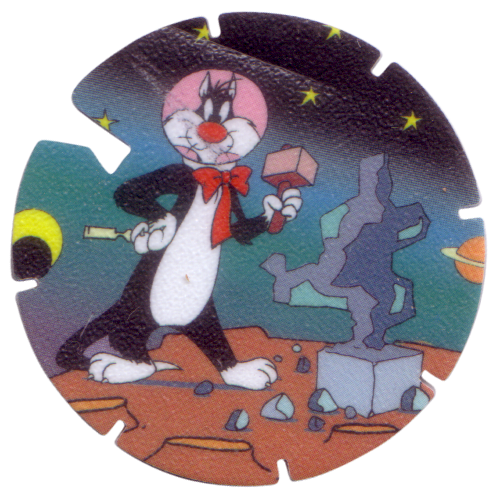 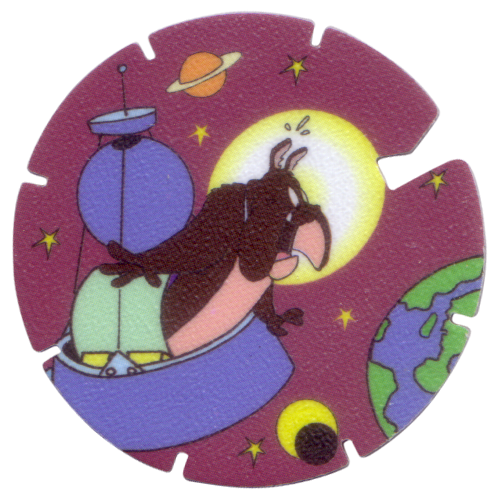 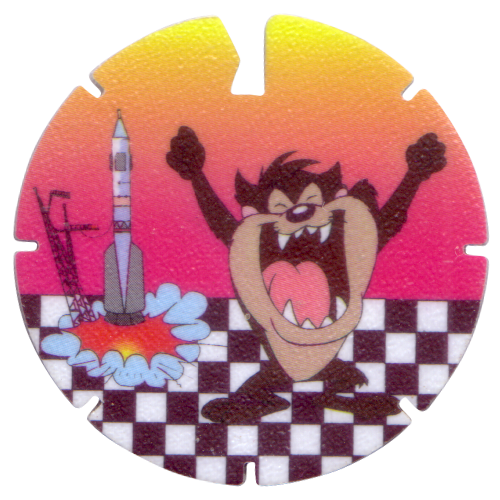 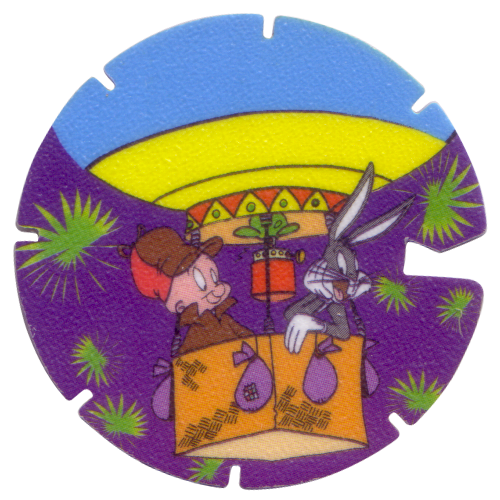 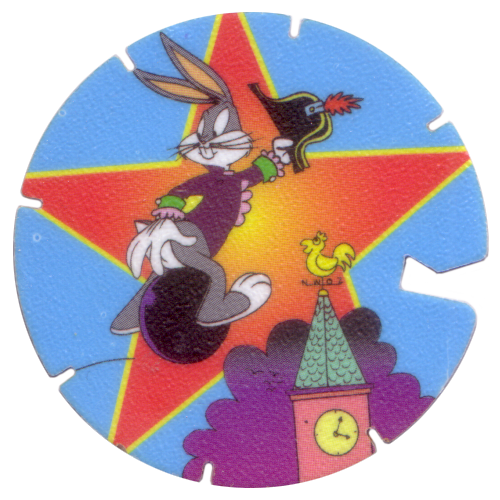 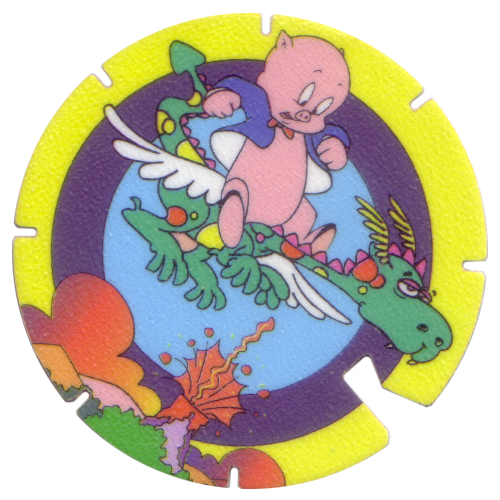 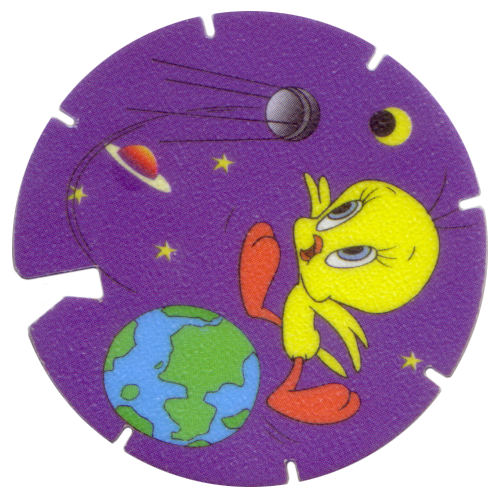 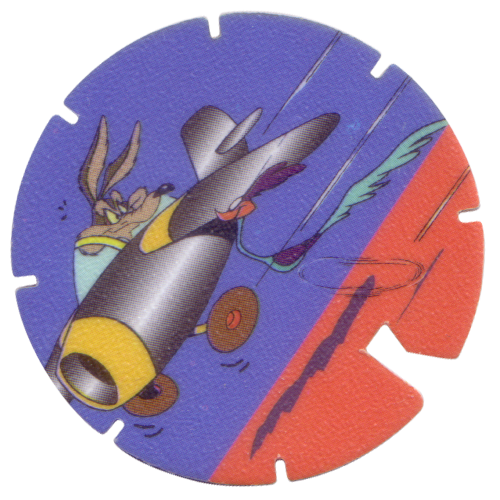 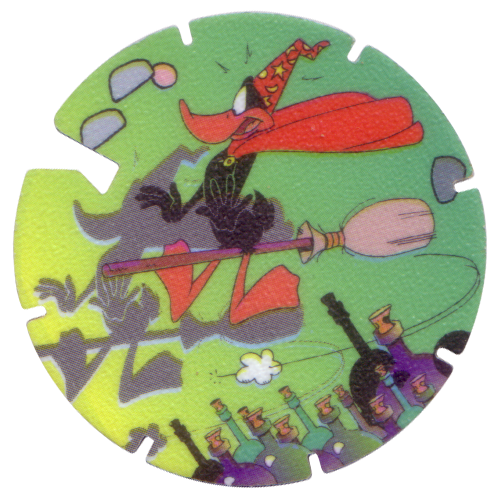 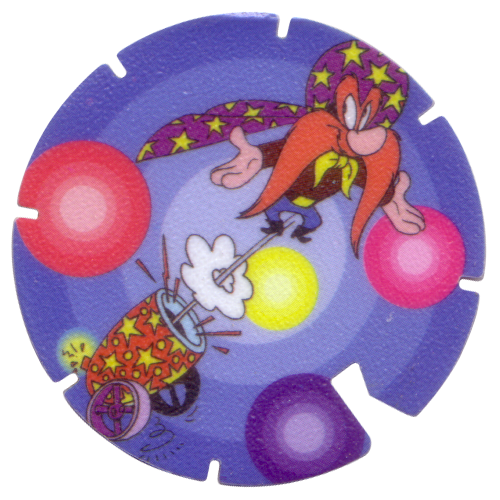 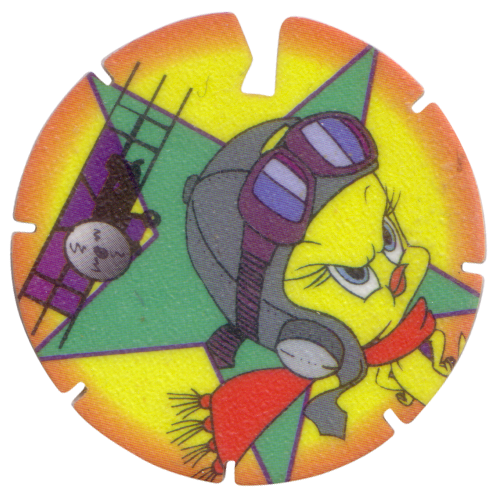 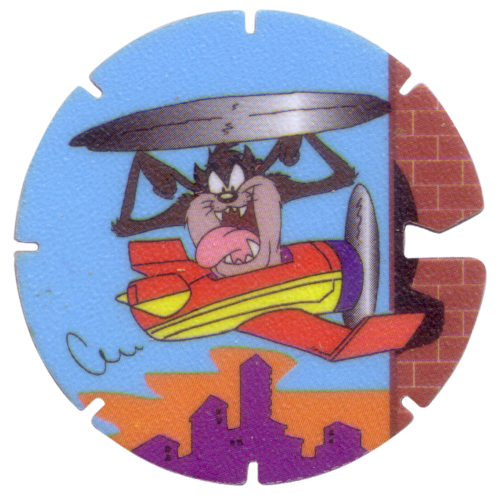 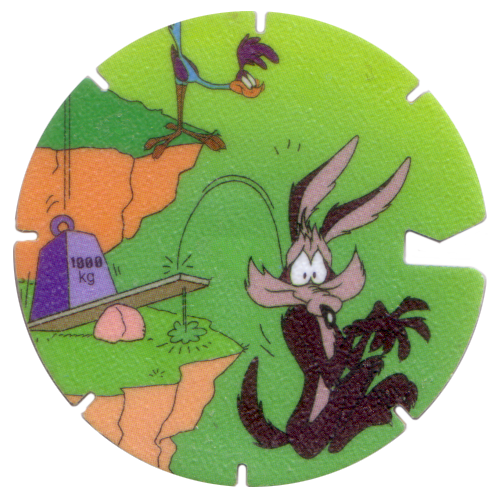 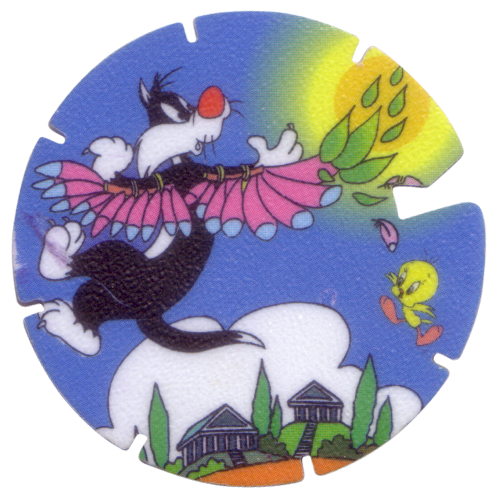 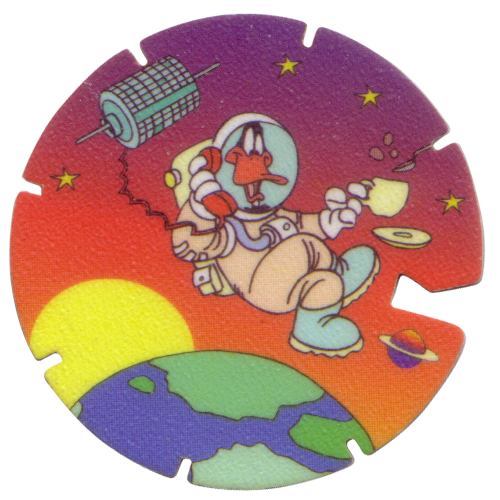 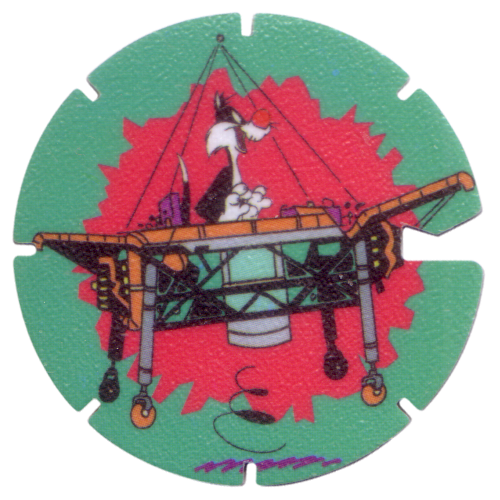 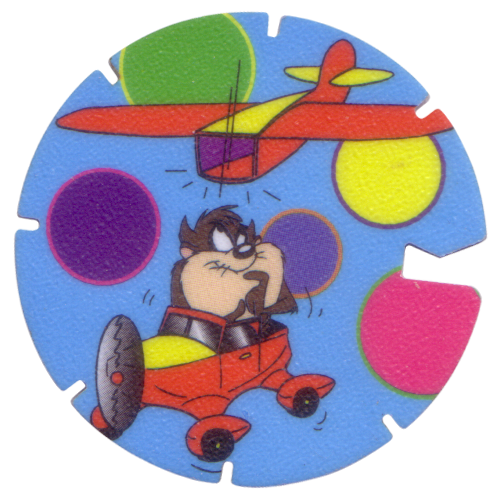 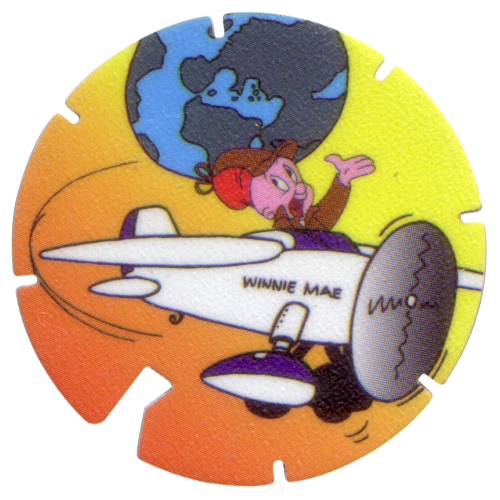 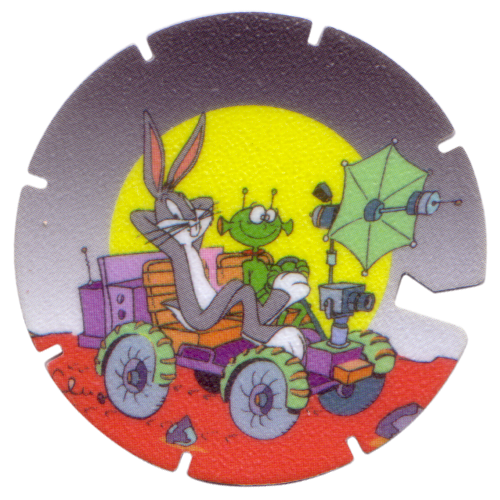 The front design of each Flippo features a Looney Tunes character and some sort of flying machine. 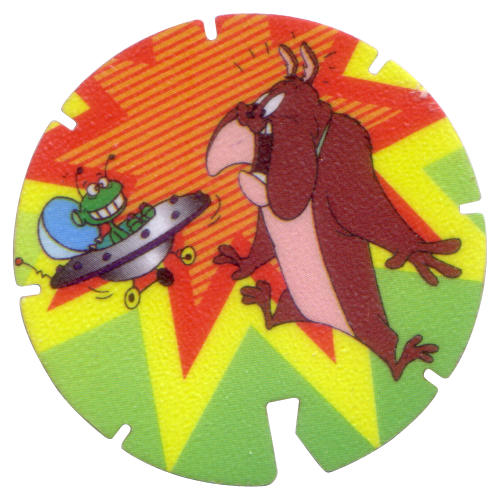 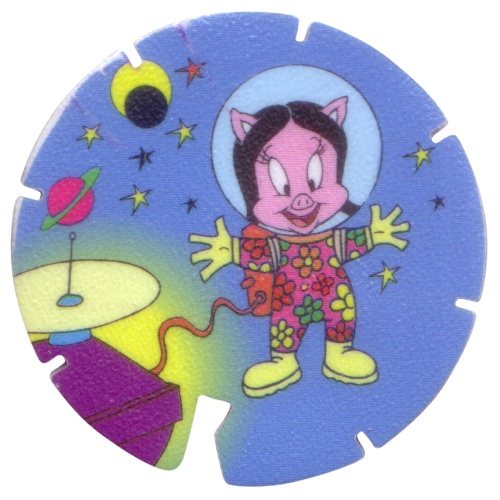 On the back it gives the Flippo's number, a point score (6 points) and the character's name. 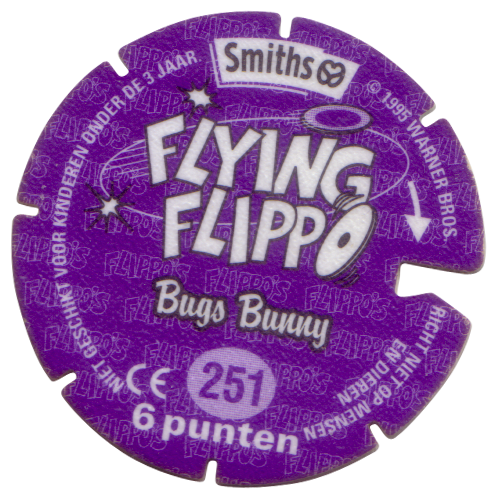 There are small notches cut round the edge of the Flippos with one larger notch. 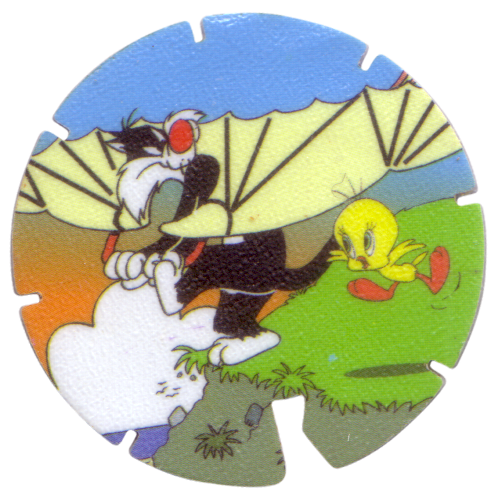 Using this notch two Flippos can be tensed together to make one to fly.